Item includes: Disc only, NO CASE AND NO MANUAL! You get the disc pictured. Grand Theft Auto V (Microsoft Xbox 360, 2013) Both Game Discs Case/Artwork. Condition is Good. Shipped with USPS First Class Package. Grand Theft Auto V -- Disc 2 (Microsoft Xbox 360, 2013). Condition is Very Good. Shipped with USPS First Class Package. Trending at $11.98eBay determines this price through a machine learned model of the product's sale prices within the last 90 days. Grand Theft Auto V (Microsoft Xbox 360, 2013). Condition is Like New. Shipped with USPS Media Mail. When you buy this item, you are purchasing a used Grand Theft Auto V Disc 1 for Xbox 360. purchasing here is Disc 1 Only (The Install Disc.). Grand Theft Auto V GTA 5 XBOX 360 Complete with Map. Condition is Like New. Shipped with USPS First Class Package. New ListingXBOX 360 Games Lot 13 Games Skyrim GTA V Fallout Arkham City Diablo III Etc. Lot includes 13 games. All in very good, working condition. The lot includes Prototype, Fallout 3 (GOTYE), Fallout New Vegas (UE), Elder Scrolls IV Oblivion (GOTYE), Darksiders II, Diablo III, Batman Arkham City (GOTYE), Skyrim, Skyrim (LE), GTA V, Red Dead Redemption (GOTYE), Sonic & Sega All Stars Racing, and Minecraft! Grand Theft Auto V (Xbox 360). Condition is Like New. Tested and Working. Shipped with USPS First Class Package. Grand Theft Auto V (Microsoft Xbox 360) Currency. Grand Theft Auto V Xbox 360. Condition is Good. Comes with both discs, case and manual. Grand Theft Auto V -- (Microsoft Xbox 360, 2013). Condition is Very Good. Both discs are in good condition! For sale is a used Grand Theft Auto V Disc 2 / Play Disc for the Xbox 360. PLAY DISC 2 ONLY! INSTALL DISC 1 IS NOT INCLUDED. Grand Theft Auto V -- Special Edition (Microsoft Xbox 360, 2013) Fifa 12. Condition is Like New. Shipped with USPS Media Mail. Disc only in good condition. Some small scratches from use. Guaranteed to work or your money back. Grand Theft Auto V -- Special Edition (Microsoft Xbox 360, 2013). Condition is Like New. Shipped with USPS First Class Package. 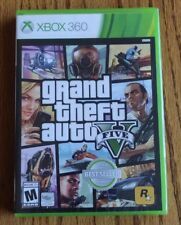 Grand Theft Auto V for Xbox 360 FREE FAST SHIPPING COMPLETE W/Map . Condition is Very Good. Shipped with USPS First Class Package. Grand Theft Auto V (Microsoft Xbox 360, 2013) *** MAP INCLUDED *** NICE!! Grand Theft Auto V (Microsoft Xbox 360, 2013) *** MAP INCLUDED *** NICE!!. Condition is Very Good. Shipped with USPS First Class Package. 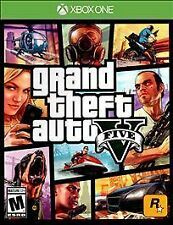 4.5 out of 5 stars - Grand Theft Auto V (Microsoft Xbox 360, 2013) *** MAP INCLUDED *** NICE!! 919 product ratings919 product ratings - Grand Theft Auto V (Microsoft Xbox 360, 2013) *** MAP INCLUDED *** NICE!! This game is in brand new condition. The game is factory sealed. There are several pokes, indentions, and scratches present on the clear plastic on the surface of the case and the case’s artwork. There also are several scratches, pokes, and indentions present on the clear plastic seal over the case. The clear plastic on the surface of the case and it’s artwork may also be affected by these scratches or creases. This game is also authentic and bought from a department store in the United States. It will be packaged extremely carefully, and it will not disappoint you. Thank you for looking. Trending at $14.85eBay determines this price through a machine learned model of the product's sale prices within the last 90 days. Condition is good a couple dings on the case , disks are flawless! Grand Theft Auto V GTA 5 Five Collectors Edition Steel Book Case XBox 360. Condition is Very Good. Shipped with USPS First Class Package. Your ultimate secret weapon! The world's most popular Xbox 360 Cheat System. Format: Microsoft Xbox 360. Region: Region Free. Our reputation for service should speak for itself. Edition: GTA V Special Edition. Cash is king in GTAV and while there will be plenty of ways to acquire and spend it - heists are the way to earn the big bucks. Grand Theft Auto V. You May Also Like. Certain publishers have opted not to include physical manuals. You get the disc pictured. Item includes: Disc only, NO CASE AND NO MANUAL! Game discs and map in excellent condition. Front of case insert has noticeable waves and crinkling. Grand theft auto v xbox 360. Condition is Good. Shipped with USPS First Class Package. Case and cd's are in good and functioning condition. Barely any scratches on the discs. Manual is not included. Grand Theft Auto V Xbox 360. Condition is Very Good. Shipped with USPS First Class Package. For sale is my GTA 5 special edition. - Special edition case. You will receive. Grand Theft Auto V (Microsoft Xbox 360, 2013), USED. Condition is Acceptable. Shipped with USPS First Class Package. game is in great condition it has been open there is no scratches there are two discs the first disc as the installer and the second disc is the playable. Grand Theft Auto V (Microsoft Xbox 360, 2013) Map Included See Description! Map and manual included but there is some water damage and the pages were stuck together. See pics for details, please let me know if you have any questions! 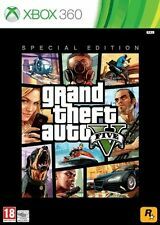 4.5 out of 5 stars - Grand Theft Auto V (Microsoft Xbox 360, 2013) Map Included See Description! 14 product ratings14 product ratings - Grand Theft Auto V (Microsoft Xbox 360, 2013) Map Included See Description! Grand Theft Auto V - Xbox 360. Condition is Like New. Free Shipping. Grand Theft Auto V (Xbox 360) CIB w/poster/map FAST FREE SHIPPING!!! 4.5 out of 5 stars - Grand Theft Auto V (Xbox 360) CIB w/poster/map FAST FREE SHIPPING!!! 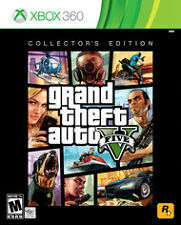 919 product ratings919 product ratings - Grand Theft Auto V (Xbox 360) CIB w/poster/map FAST FREE SHIPPING!! !